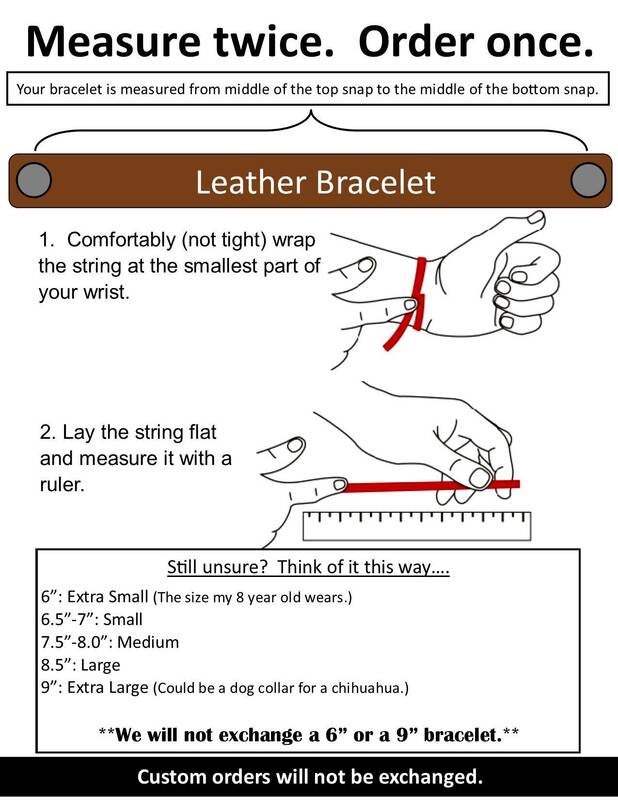 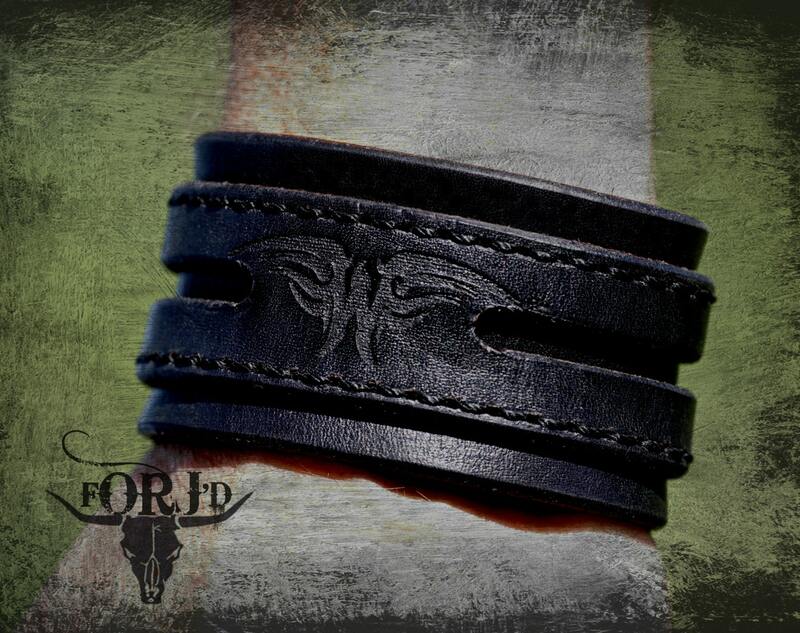 Made from premium 7 ounce single bend leather. 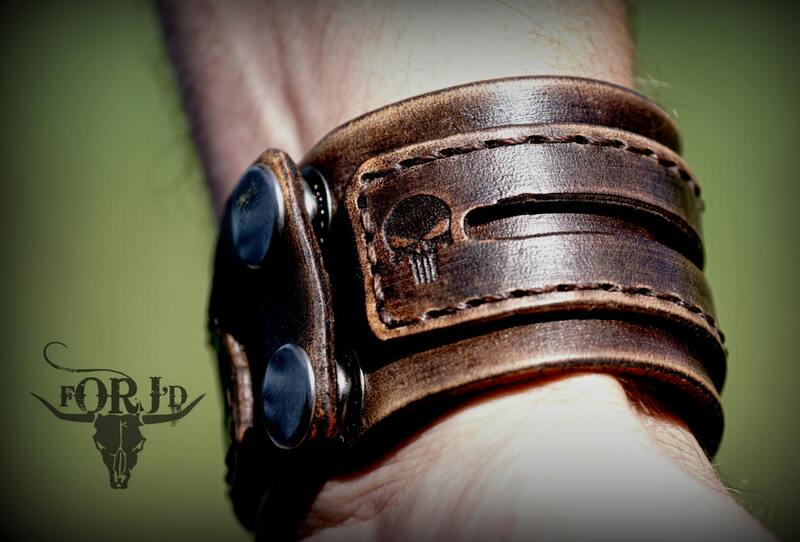 Our leather is laser engraved not stamped, which means our images are literally branded into the leather. 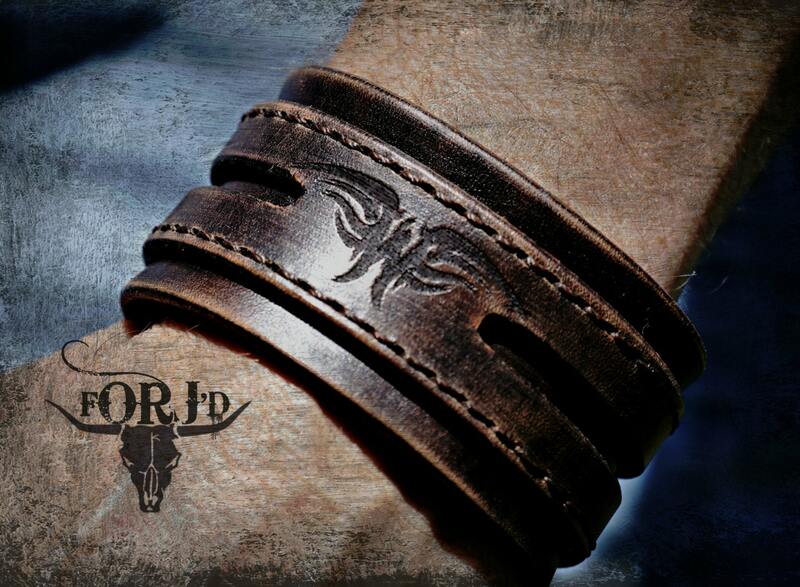 Hand tooled, dyed, oiled, distressed, stitched, and finished. 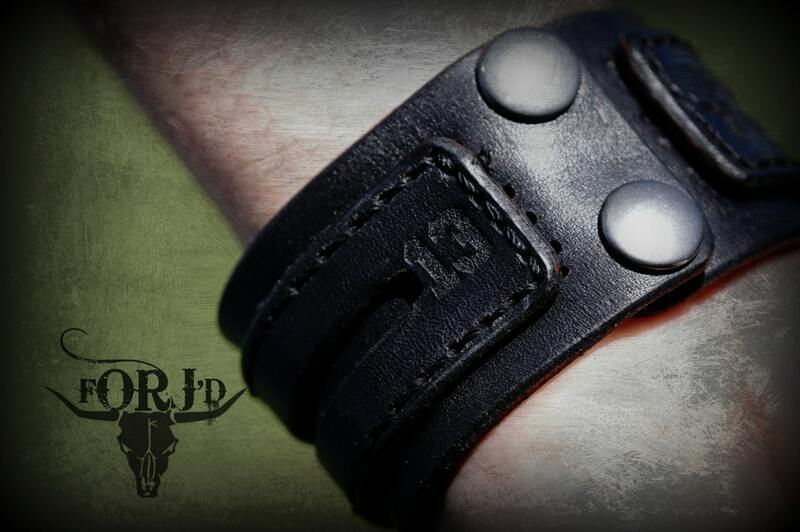 This cuff comes with Ryan Weaver's "W" logo, and back engravings.